Babbitt Motor Werks in Mesa, AZ is exclusively an Arizona BMW Repair shop. We have 3 BMW master techs from Chapman BMW, and we've invested in the latest BMW repair and diagnostic tools. With the GT1 and a SSS programming and coding stations, we can provide dealer level BMW repair at a fraction of the cost. We proudly provide Phoenix BMW repair, with two locations to serve you: Mesa BMW service and repair and Tempe BMW service and repair. You can read our Mesa BMW repair reviews below, and click here to read our Tempe BMW repair reviews. I recently stumbled upon Babbitt Motor Werks after realizing my front brakes were toast. I called maybe 4 to 5 other shops who all quoted more or never bothered to follow up with my quote request before i called Babbitt. Now after going in and having my BMW repairs done for less than the quoted price, faster than they said it may take, I'm hooked. Honestly i would push my car past any other shop to get to Babbitt. I was purchasing my second used BMW after several years of driving a truck. Before I even made the purchase, I called Babbitt Motor Werks with questions about the 2 Bimmers I had narrowed the decision down to. Without even purchasing a BMW yet, they were so helpful in answering questions and giving advice on what kind of service to expect or what to look for. I really appreciate the help and consideration they gave me. Now I have made a decision and the BMW is in their shop for an initial inspection, diagnostic and general overview. Excellent...is how I would rate Babbitt Motor Werks's BMW service! We are from Oregon and we were having issues with our 2010 528i on the drive down that two other shops were unable to diagnose the problem. Eric and his staff at Babbitt Motor Werks in Mesa were able to pinpoint the problem and fix it! We made it back home safe and sound, no issues! Eric and his staff were professional, respectful and very efficient! They did not charge us for the diagnostic, which the other shops did charge for but were unable to pinpoint the problem. The actual repair was very reasonably priced; when compared to quotes from the other shops, we saved 30% - 50%! I would recommend this shop to anyone, from the area or not! I own a 2004 Mini Cooper and have been using Babbitt Motor Werks since I bought it. There was a 1 1/2 year time span in the 5 years I have owned it that I moved out of state and had to use a different mechanic. I cannot express enough how awful of an experience it was using somebody other than Babbitt and I am glad to be back with them. Eric is very helpful, honest, and informative. Between August 2011 and December 2011, I spent over $5,000 trying to identify and repair an issue with my BMW 325i. I'd go out to my car in the morning, and find a dead (I mean 'flatline') battery. However, it would take a jump just fine every single time. Despite two new batteries, a fuel pump, an alternator belt and EXTENSIVE testing, my mechanic could not identify the problem. In fact, they were absolutely stumped (his own words!). I had selected this specific mehanic because he claimed his team 'specialized' in BMW servicing, and because he hosted his own 'car-talk' show on local radio (so of course he's dependable, right?). When the problem continued - and worsened - into 2012, I was referred to Babbitt Motor Werks. Not only did they identify and remedy the problem immediately (literally only an hour or so after starting their testing), they arranged for a rental car (at a discounted rate) and offered to comp an extra day - when parts took longer than expected to obtain. The absolutely best part...the full quote to fix this on-going problem came back at a whopping $450 (that sure beats the $5,000 I spent at the other place!). Much to my delight, they were even able to find the part under cost, so the total repair came out to $372.61. If you want it fixed right the first time, and a mechanic you can count on for integrity and honesty...I highly recomend Babbitt Motor Werks! Back in February 2010, I bought a 1995 540i from an independent dealer. The car at the time only had 105K miles on it and was in great shape. After using it as a daily driver, several things on the car started to fail, as they were the original from the factory, 17 year old parts. The previous owner only drove the car, about 4K miles/year. I'd taken the car to other shops to have the repairs done as I had no other choice, seeing as it is my daily driver and you can't drive a car with a leaking radiator! Upon my last visit to the garage, I'd been given a laundry list of "necessary" items totaling over $4K to repair and was told the car was "dangerous" if I didn't have the repairs done. I was getting ready to sell the car, as I figured it was just old and needing too many repairs than I could afford. My father did some research and found Babbitt Motor Werks, and told me that I should get a second opinion. Not only did Babbitt cut the list of necessary repairs down to 5 items, they also did all the work, labor, etc. for just over $1300, saving me a ton of money. All parts they used were genuine BMW parts too! I've decided to keep the car, and it's running great. Babbitt knows BMW's inside and out, they've been great to work with, and I'm so glad I found them. In August 2011, I purchased a 2001 BMW 330CI. I took it in to Babbitt Motor Werks in Mesa, AZ since it is within walking distance of my home. I knew the car had some neglected maintenance and was expecting to repair/replace a number of items. I have taken it in 3 times since then to get the following completed... Power Steering Pump, Engine Mounts, Driver Side Lock Regulator. Engine Valves. Front Struts, Front Bushings, Engine Oil Leak, & Tire Alignment. During each visit, the work was completed same day. They contacted me mid day to go over issues and discuss costs. Final bill has always been close if not exactly what was quoted. Eric the manger is very friendly and knowledgeable. I will continue to take my car there in the future. I was purchasing a 1989 BMW M3 and called Babbitt three times to help out in getting some estimates for work that I know would need to be done. I was able to contact someone at the Tempe store twice who said he would get back to me and but never did. Also called the Mesa store and left a message and never received a call back. As for as I am concerned I will never take my vehicle to Babbitt if this kind of customer service is what I can expect. I'm sorry you had a challenging experience with our shops. All I can guess is that you called us on a very busy day when we were trying to finish all the BMW's that had appointments, were towed in, or dropped off to ask a questions in person. I have a 2003 330ci. I will never go to a dealer again since I found Babbitt Motor Werks in Mesa. Eric is a great guy to work with and you know you will always get the best price and workmanship. I've had everything from oil changes, brakes, engine repairs, and the service has been the best. I highly recommend Babbitt Motor Werks in Mesa. Jordan Z.
I have a 2001 BMW X5 and 2001 Z3 roadster and have had both cars in Babbitt Motor Werks Tempe, AZ. shop four times. Would never go anywhere else for service, and i am very fussy about my cars. They've done brakes,door regulators,suspension,a.c and are always accurate to their estimates. A very professional shop. I recently bought a 325i and really had no knowledge of BMWs other than I love them. I found Babbitt Motor Werks and from the moment I called, I was impressed. I needed to replace my key. I called before and when I arrived he had already called to make sure the key could be delivered by the next day and had the majority of the invoice filled out so I could be on my way quickly. When I walked into the shop, I was immediately greeted and was asked if I needed anything while I waited. So I’d say the first encounter was great. Based on that, 6 weeks later when I needed to have my check up, I again called. They were busy but squeezed me in. Again when I arrived I was acknowledged. The owner was there and he actually checked out my car and took the time to explain everything to me…very cool! What I was most excited about was the fact that there were about 15 things that “could be fixed” but he broke it down to what needed to be addressed immediately and what could wait. This was key as dropping a few thousands bucks as once was not in the plane! The owner then drove me back to my office and did even more explaining about the findings. He drove me in my car so he could show me what was going on. This was something I valued because otherwise I’d have no clue what he was talking about. All in all I have had two awesome experiences at Babbit and would absolutely suggest for any BMW owner to use one of their locations. I must say that the guys at Babbitt ROCK! I have a 06 BMW and I’m a working student so taking to the dealer wasn’t even an option (cost wise). I was referred to them from a friend who actually works at the dealer and used to work with one of the mechanics at Babbitt I believe it is Josh. I am a girl and know absolutely nothing about cars. It is very comforting to know that I can go to Babbitt and know they will be there to help with any repairs or maintenance needed on my car. Their prices are exceptionally reasonable and they are extremely friendly. I really appreciate the fact that when something is wrong with my car they actually explain things to me in a way I will understand. I have never had such a great experience with any other shop/mechanic. Pretty much they are awesome and I would recommend them over any other shop in the Phoenix area. My wife's baby ('92 325iC) lost an engine. We had been using Babbit's for other work so naturally we went to them to see what they could do. They were extremely patient with us, did find an engine, and installed it. The "new engine" is better then the old and that car is now more amazing then ever. All for a very fair price.....much cheaper then the cost to replace the car. Won't take that BMW any place else. I was only in town for a few days to help out my parents. My 1991 325ix had an oil leak, a small transmission oil leak, and a dying A/C compressor. These guys let me come in on remarkably short notice and did an amazing job diagnosing the car & determining the best way to fix it. Unfortunately I was leaving so soon they only had time to do the stuff that could be done in 1 day: the A/C. They assembled a full and professional estimate of the parts and labor necessary to execute the two other fixes that I could take to the next mechanic in my new city to give them a head-start on the fixes. In my long ownership of BMWs I've run across every ilk of mechanic. These guys were genuine professionals and extremely easy to work with. If I'm ever in Phoenix with an ailing Bimmer, Babbitt Motor Werks gets first call! After my warranty ran out on my 330ci, I needed a place that I could take my car for quality BMW service but affordable prices. I looked around and found Babbitt Motor Werks. The Mesa location was ideal and the prices were unbeatable. I would recommend them to any one that owns BMW. Amazing service and customer care for a E60 M5 by these guys at Babbitt Motor Werks! Very impressive knowledge and easy to talk to with no dealer attitude like you get with the big shops. The shop manager took the time to answer all of my nagging questions and the tech working on my M5 was equally helpful. I highly recommend them to anyone looking to have BMW service and are tired of being bent over by the dealers! I own a 1995 M3 that I absolutely cherish. I recently developed an oil leak and got referred over to Babbitt Motor Werk by a close friend. I'm really picky as to who I trust my Bimmer with. When I talked with Nate on the phone, I was really taken back. He was very knowledgeable and pleasant. When I met him in person, I never felt for a moment that I was being taken for a ride (no pun intended). The shop atmosphere was impressive and the level of service and professionalism was second to none! The repair was done quickly and at a price that I could stomach. One of his technicians, Josh, was really sharp when it comes to the inner-workings of the BMWs. I have finally found a person to trust with my most prized possession. Kudos to Nate and his technicians at Babbit Motor Werk! I have brought different BMWs to Babbitt Motor Werks off and on for over 6 years, I have never had an experience that was less than awesome. I would recommend Babbit's to any and everyone that needs BMW work done. Nathan and his team in Tempe are the real deal. They tell you like it is, honestly, without the up-sell. On my last visit, they replaced the radio. They were very careful and planned up-front on replacement of those one-time use trim fasteners. If you are a seasoned BMW owner, you know what I mean. Most dealer techs just slap it together and wait for your return. However, that does not happen at Babbitt Motor Werks! They have done the jobs many times, know what to expect, do it right the first time, and will not make a mess. If you have been seeking dedicated, gifted and talented BMW repair experts in Ahwatukee, Chandler, Mesa, Phoenix or Tempe, this is your place. If you can plan ahead of time and need some blemish, ding or other bodywork performed while having preventative maintenance or other work done Babbitt; coordinate your visit with Chip Tracy at Tracy’s Auto Body. Babbitt and Tracy share the same facility. From a vehicle owner’s standpoint, it is a real plus to have top-notch BMW repair and body shop facilities at the same location for life’s unexpected events. During these strained economic times, it is reassuring to know that I can bring in my 2001 525i to Nate and his team for service at Babbitt Motor Werks without having to worry about whether or not I am getting fair prices and quality work. I know that they will always let me know exactly what I need done without trying to oversell me on unnecessary parts or service. Thanks guys for offering such a high level of service while maintaining your integrity. What can I say guys! Always there when I need you. Even when you are looking very busy you always fit me in and get the 540 done up right. 183,000 miles and I owe the majority of the miles to you. Thanks again. Really a great BMW shop, I have taken my 540i here many times and every time I have been satisfied. I can't count how much money they have saved me instead of going to the dealer. Babbitt Motor Werks in Mesa is always clean, and it run by some GREAT people. This is the only place in AZ I take my BMW. When my 6-disk cd player stopped working in my 1999 540i, the local BMW factory service center wanted to just replace the entire player, for a cost of nearly $1,000. I had just learned about Babbitt Motor Werks, so I took it there for another opinion. Babbitt took the time to realize that the player was fine, just that two CDs had become stuck inside the machine. They opened it up and manually freed the CDs for a total charge of only one hour of labor. 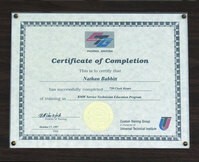 Thanks Nathan for thinking "outside the box" and saving me a ton of money! I have a 1998 750IL V12 BMW my wife blew the motor with 58,000 miles. This motor was toast, she drove the car in 100+ degree temperature and didnt notice the temp guage, somehow the radiator resevoir broke disintegrated and overheated the car, we had just bought the car about 4 months earlier. After 3 other shops gave estimates of 12-16k to repair, I found Nathan @ Babbitt BMW Motor Werks. They did the job for nearly half the price, around 7k. Car runs excellent almost a year later! Personally I wont take my BMW anywhere except Babbitt BMW Motor Werks. Five Star Shop in my opinion. Eric & Nathan will treat you right, its really nice to know there are still some people in the car repair business that care about quality of work at a fair price. Just because I drive a BMW doesnt make me rich, just able to make good payments :) Please feel free to ask Eric or Nathan for my telephone number, I will gladly give this shop a ringing endorsement. They continue to service the car to this day. We were in town this past week and our X5 broke down on the freeway. Nathan, the owner of Babbitt Motor Werks, was driving by and stopped to help us. He set up for my car to be towed in and had the parts waiting for it when we got there. This was a Saturday and they aren't even open. I was so impressed I can't say enough about Nathan and what he did to save our trip. Thank you! I just brought my 3 series for the inspection number 2 to Babbitt's shop, first time in the shop and got a great service from everyone in the shop. I felt confident of their knowledge and expertise. Thank you. December of last year I had my car totaled in an accident and so I found myself in the market for a 3 series. I visited a couple of dealerships in the valley, some of their used car were a mere joke, with many, many things missing. So I kept myself away from dealerships and looked only at private party sales. Nathan at Babbitt Motor Werks offered his knowledge on looking at the car that I was interested in. He did a throughout inspection of the car and told me right away what the car needed, it was just a rubber hose. Thank you guys, keep up the good work and service. I've taken my previous 1995 325is to have a repair done on a master cylinder key, the service was nothing less than perfect, besides I got my car back in the same day. Now after selling my 325is, I bring my new car for the regular services and preemptive maintenance. The guys at Babbitt Motor Werks advise me on what the car might need in the future and what it needs right now (if any). Good pricing, reasonable quotes, friendly staff. If you own a BMW you have to go to Babbitt Motor Werks. Erik, at the front desk, is so friendly and keeps me apprised of the status of my BMW. Recently, my son spilled a drink in my car. Nathan had me bring it in and a detailer showed up at the shop to take car of the problem. Always a great experience. Thanks guys! I was driving from CA to TX and a check engine light came on in my 2005 7 series in the middle of the desert near Phoenix. I found your web site and did some research trying to locate a BMW repair shop in Phoenix....thanks to your web site I found Babbitt Motor Werks in Mesa. Nathan is AWESOME! His staff is very friendly and knowledgeable. He took the time to actually "show me" what was wrong with my car. His staff also helped me get set up with a rental car, while my car was in his shop. After a little homework and a lot of questions I found out that Nathan is the premier repair guy in the area. He is capable of everything my franchise dealer does back home, he even has the same computers and diagnostic equipment that I thought only the big dealers had. Most interesting to me though, is that he is the place were the other car dealers send their cars! We had two different car rental drivers and both of them stated that they had never heard any negative comments about the quality of service done at Babbitt's shop. Thank you Bimmershops for the great system to locate BMW repair shops. Thanks to Nathan and Eric for helping when I was in a bind with my M5. You two really went above and beyond to get the part shipped and on the car pronto. I would recommend Babbitt Motor Werks to anyone with a BMW. They are extremely knowledgeable and efficient. I had tried 2 other dealers and an independent shop to diagnose the front end problem on my 99 328Ic. Everyone else listed reapirs from $1700 to $5000. The Babbitt Motor Werks staff took the time to look carefully and completely at the problem. Additionally, they noted some needed repairs required and listed what was NOT required to replace. I saved a lot of money, the car rides great and I am looking forward to a long relationship with the friendly courteous staff. They all know their stuff. I needed some minor repairs for my Z3. I was refered to Babbitt Motor Werks by another satisfied customer. There was no attempt to inflate the type of repair or the cost. I was extremely satisfied - friendly, efficient and professional. I would have no problem recommending Babbitt Motor Werks. I recently had my 2003 745 serviced at Babbitt Motor Werks and was overwhelmed with their friendly and knowledgeable customer relations and exceptional repair service. It is a great reprieve from the superficial, brainless service that I used to receive at the big dealerships. Thanks for your honesty, elevated BMW expertise, and fair pricing! I was visiting my father who lives in Phoenix, and during my visit we took his BMW to Babbitt Motor Werks. I was very impressed with the level of competence and care during the whole process. The car was repaired quickly and for half the price of the local dealers. They even found and corrected an unrelated problem, that if not pointed out would have certainly resulted in a breakdown. These people know their BMWs very well and are very reasonable. I wish we lived close enough for them to service my BMW.